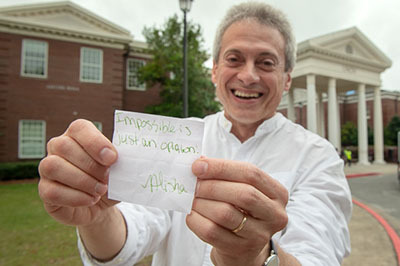 When Chemistry and Biochemistry Department Chair Paulo Almeida feels overwhelmed, he simply looks at a note he found stuck to a table near the Student Recreation Center after Hurricane Florence. Submit items for the next SWOOP by noon Friday. SWOOP will not be distributed on Nov. 20.